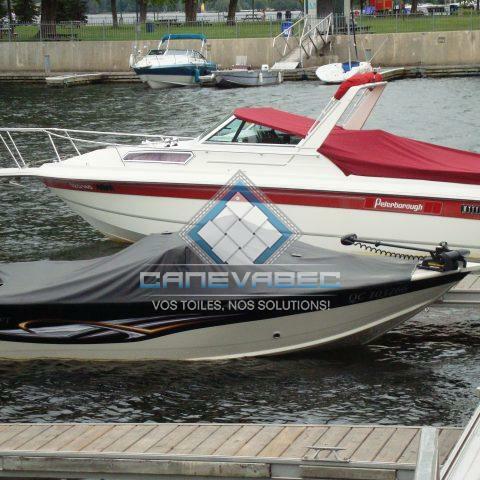 Canevabec offers a selection of custom covers for your boats and pontoons, whether to replace an existing cover or to add a cover that fits your type of embarkation better. 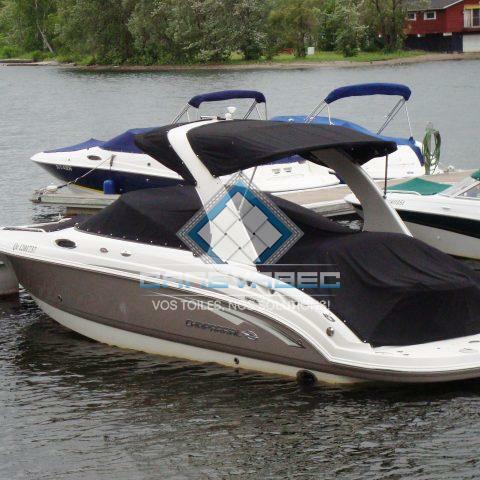 We offer a wide choice of fabrics for fast covers, transport covers, open deck, Bimini tops, camper or semi camper tops. 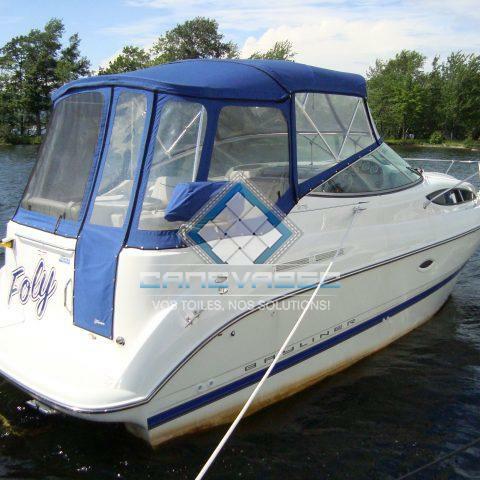 We manufacture high quality products made by a team that is dynamic, detail oriented and experienced. 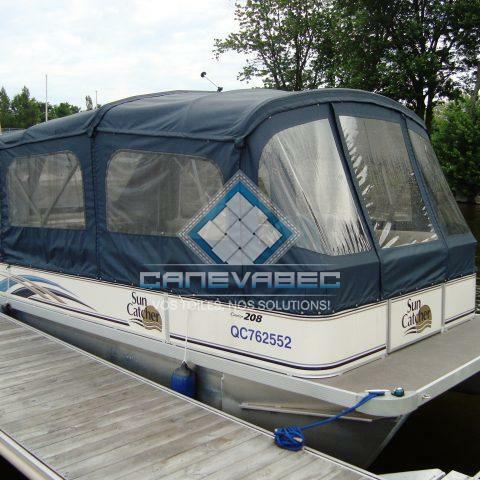 Canevabec also designs and manufactures roof armatures (Bimini, camper, semi camper) according to your needs and your boat’s features. We use water repellent premium quality canvas. These covers will protect you from inclement weather and the sun, offers great resistance to UV rays, and breathability, which prevents mould.